How do I renew my Resident Persons with Disabilities Hunting and Fishing license? Can I get a permanent disability license? What does a senior license certificate cover and where do I get it? I am 65 years old, but not a Florida resident. Do I need a license? Is a driver license or ID card required to operate a boat, hunt, or fish in FL? 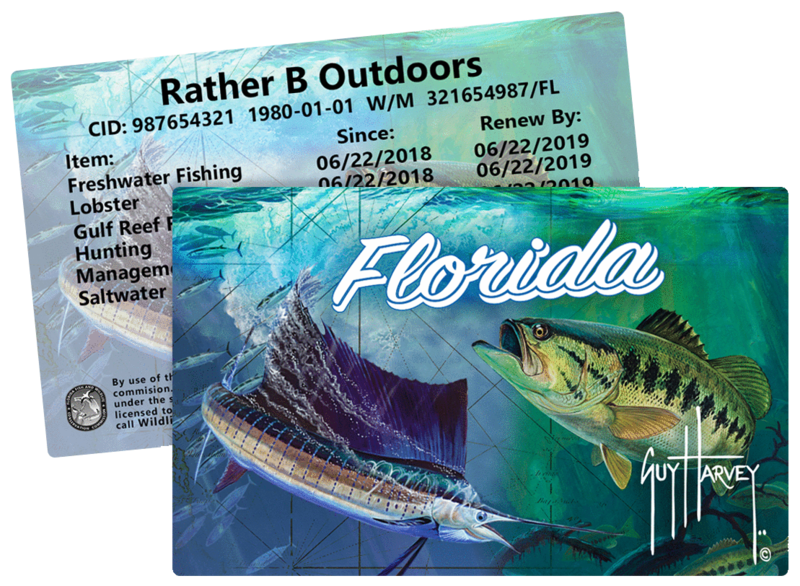 Yes, a driver’s license or state issued identification card may be used by Law Enforcement officers to validate hunting and fishing licenses or permits, and are also required when operating a boat in Florida. How can I see what limited entry/quota units are available? I have a quota permit with a guest permit. Can I take my 15 year old as a guest? How can I print my Limited Entry Quota Permits? If I ride in a boat to a saltwater fishing spot and then fish from shore, am I still covered by the shoreline license? Do non-resident saltwater anglers qualify for the shoreline license? No. 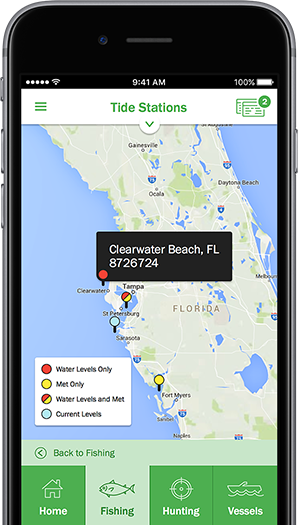 The shoreline saltwater fishing license is available only to Florida residents. Non-resident saltwater anglers must purchase a regular non-resident saltwater fishing license. this license may be purchased at GoOutdoorsFlorida.com, at a license agent location, or at an assisting Tax Collector office. Will a digital copy of my license be sufficient to provide to an officer if I am stopped? Digital copies that are generated on the FWC app or through your GoOutdoorsFlorida.com account are the only digital copies that are acceptable by FWC Law Enforcement. Go to GoOutdoorsFlorida.com and select “Show Licenses History” to view, print or renew your licenses. Why have I not received my license in the mail? Why did I receive an emailed copy of my license? If you have provided a valid, non-blocked, email address a PDF copy of your current license will be emailed to you directly after purchasing online. It will also be posted to your account online. If you are successful in a limited entry/quota drawing and you have provided a valid, non-blocked, email address, your non-transferrable quota permit will be emailed to you as well as posted to your record online. Will you mail me a copy of my license? Who qualifies for this license? The Military Gold Sportsman’s license is available to current Active Duty or Fully Retired military members per Florida Statue 379.354(4)(j). How do I purchase this license? The Military Gold Sportsman’s license is available online at GoOutdoorsFlorida.com through an online verification service. Military members will need to enter their military credential information to be verified through this online process. This license is also available to purchase at Florida Tax Collector offices; a valid military identification card must be provided to the clerk to verify current military Active Duty or Fully Retired status.